Sony’s PlayStation 2 is one of my favorite dedicated gaming platforms of all time. There’s a wealth of amazing games for that system, including ICO, Kingdom Hearts, Disgaea: Hour of Darkness, Katamari Damacy, and several others which I am glad to have experienced. Over the years, I’ve gone through two consoles. My first, a “Phat” bundled with Gran Turismo 3: A-Spec, developed disk read issues; instead of attempting a repair, I sold it on eBay. The second, a Slim, eventually saw problems with the disk drive’s hinged lid, which I fixed by setting a hardcover copy of The Simarillion on top of it whenever I wanted to play a game. Oh, and the controller’s left analog stick sometimes becomes stuck in a certain direction, but not enough so that it’s unusable. Plus the switch from a old-style TV to an HDTV some years ago introduced noticeable lag into a handful of games, but that’s not the PS2’s fault. We have a third PS2, our second Slim, brand-new and packed away in storage, just in case we should need it. However, the first Slim might be joining its sibling soon, as I recently beat the last PS2 game I had planned to play. This game, appropriately enough, was also one of the last major North American releases for the PS2: Sakura Wars: So Long, My Love. So Long, My Love is the fifth main entry in Sega and Red Entertainment’s Sakura Wars franchise, and the only one ever to have been officially localized in English, albeit by NIS America (however, a fair number of the anime spinoffs have seen release here since the late 90s). Why this series has stayed in Japan for so long is not a surprise once one starts up the game, as it has a very heavy visual novel/dating sim component. 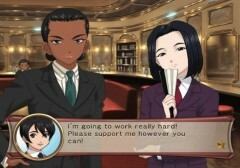 When this game was released in the US in 2010, English-localized dating sims were extremely niche, and typically the province of adult PC game publishers. Though the situation has improved since then, they still occupy a small and specialized corner of the overall Western game market. The battle system is simple, yet enjoyable. The other 20-30% of the game is, of all things, a strategy RPG, and not a bad one, either. Not including the endgame, battles take place roughly twice per chapter, typically with one being ground-based, and the other focused on aerial combat. 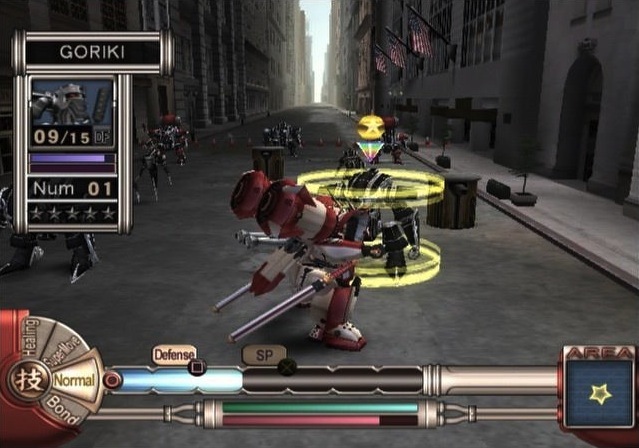 The battle system plays like a simpler version of the one in Valkyria Chronicles, which is not a surprise considering that many Sakura Wars staffers went on to work on the later series. Nearly all actions, including moving, healing, defending, joint attacks, and special moves, cost a set amount of action points (and sometimes SP as well), and the lack of a grid means that units can move freely around the maps. There is a bit more to it, but in general, if you enjoyed the gameplay in Valkyria Chronicles, there’s much to like in So Long, My Love‘s battle system. To get to those battles, however, requires going through lots and lots of text. The main story takes place in an alternate-universe version of the 1920s, where steam engines have become so advanced that they’re used to power airships and mobile suits. The player character is Shinjiro Taiga, a fresh-faced young officer who is shipped from Japan to the US to join the New York Combat Revue, a troupe of Broadway performers who moonlight as peace-keeping pilots of mechs called STARs. This wacky intersection of professions is justified in that not only does the Revue have to keep the peace, they are also charged with spreading happiness throughout the city with their performances, in order to ward off negative energy. Bizarro New York has a “Bay-area” instead of a “Financial District”. Despite the thought put into the Combat Revue’s role and other such plot concepts, the world-building is by far the weakest part of the game. Forget about the sometimes odd musicals the Revue puts on; more importantly, the New York City represented here is not so much the real thing as a dreamlike idea, and contains a number of inaccuracies. A library building that resembles the main branch in Midtown is in the Village. Wall Street is north of Chinatown. Fifth Avenue is on West 59th Street, and so on. There’s also the lack of steampunky elements—besides the NY Combat Revue’s equipment and facilities, there’s not much other fancy gear save for a few pipe-heavy cars and the occasional public fixture—and the odd anachronism such as the graffiti in Harlem. The most jarring flaws of all surface late in the game: it’s December, and the city’s bushes and trees are mostly still leafy and green. You wouldn’t know it was a Northeastern winter at all if it weren’t for some mentions of Christmas and the light snowfall that occurs during one battle. The sharply-dressed Sagiitta and Subaru. The characters have quite a bit more thought put into them. Besides Shinjiro, there are five other STAR pilots who are already a part of or later join the team. Main girl Gemini is a cheery Texan with big dreams who shares an apartment with her horse Larry. Sagiitta is a proud and intelligent lawyer (yes, she actively maintains a third profession) and, surprisingly, one of the best African-American characters in all of video games. Fellow Japanese expat Subaru is an aloof genius type who is identified as female, but whose actual gender is a mystery. Energetic little Rikaritta (aka Rika) is a performer and bounty hunter who loves to eat. Finally, there’s the girl whose ending I went for: Diana, a kind and sickly young woman who studies medicine and loves birds and nature. Rounding out the cast are the non-performing staff of the Revue, plus a handful of lesser characters, including a boutique owner, a jazz musician, a grocer, and a couple of mobsters. Most of these characters are well fleshed-out, with the STAR pilots/girlfriend candidates getting the bulk of the development. Each of these girls has a distinct story arc, with some of them better written than others, and developing close relationships with them affects your party’s strength in battle. The romance that results is chaste to the point of being practically platonic—a good thing when you consider that the youngest of the bunch, Rika, is only eleven years old. In general, although the basic story is fairly simple and rarely original, the highly likable characters and their tales nicely make up for it. Get these moves right for a happy Rika. 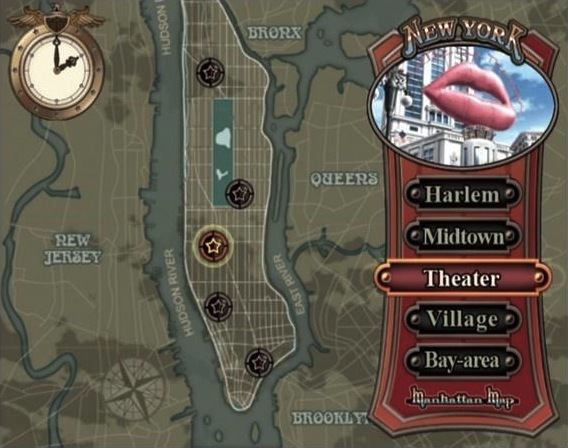 Unlike with other visual novels, the choices you are given while interacting with these characters are usually timed, and some tasks, such as an early one where you help Gemini clean the Littlelip Theater, involve successfully pulling off series of analog stick movements. When you’re free to move around, you can explore the city both to further the main story and get to know various characters better, and also play around with a combination radio/camera called the Cameratron, which seems to be mainly there for an ongoing picture-taking sidequest. There’s also a log feature, standard in many VNs, which is useful for going back and checking bits of previously read text, as well as a quick save option for non-battle sections. Still images of the heroines can be collected, though there is no standard CG gallery, unfortunately. Overall, the visual novel end of So Long, My Love is solid where it counts most, though there’s a bit too much of it compared to the battles. The script itself is a little repetitive at times, but generally all right, and the localization is servicable. Aside from some poorly-drawn fingers, the character art is pleasant to look at. I’ve already complained about how New York City is represented, but as far as basic quality goes, the background art is average, as is the sometimes-earwormy music. Cutscenes are lovely cel-animated affairs that are sometimes decently blended in with the gameplay sections. The voice acting—a fair amount of the game is voiced—is, however, not as good as the rest. What made me buy the PS2 version of this game in the first place was Gemini’s cringe-inducing English voice in this trailer. 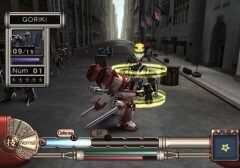 The PS2 version comes with both Japanese and English VO options, as opposed to just the latter for the Wii, but in the end, it might not have made that big of a difference. Even with my limited knowledge of the language, I could tell that the Japanese voices were frequently light on charm (with the exceptions of a few characters, mainly Ratchet) and heavy on melodrama. Also, given the US-based setting, there’s a not insignificant amount of Engrish sprinkled throughout. Finally, the oddest thing about the game’s audio is that Shinjiro is not voiced at all outside of the rare animated cutscene. 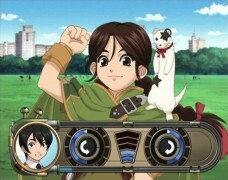 Sakura Wars: So Long, My Love is quirky as hell, much more so than the last such game I wrote about. It also might be a fitting swan song for the PS2, home to so many unique, colorful games for all types of audiences. So Long, My Love is an odd intersection of high profile and low budget, the traditional and the innovative, East and West. It’s unlike anything that had been localized before and is most definitely not for everyone, but the fact that it was released here at all is one of those things that was great about the PS2 era. Thanks for all the good times, PS2, and I hope to visit your games again in the future.